Kayangan Heights is a premium residential enclave tucked into natural forestland, yet situated just minutes from urban centres. Commercial, recreational and educational facilities inspire comfortable and stylish living. Kayangan Heights allows one’s horizon to be dominated by nature, untouched by human hands, in the privacy of community shared by a privileged few. Residents can discover life beyond the dramatic city, all set amidst an environment which rejuvenates the soul and the senses. Teratai Villas is nestled within the marvellous tropical rainforest of Kayangan Heights. Teratai Villas is a contemporary, modern bungalow development of a two and three story layout. Each Villa is equipped with a private swimming pool. 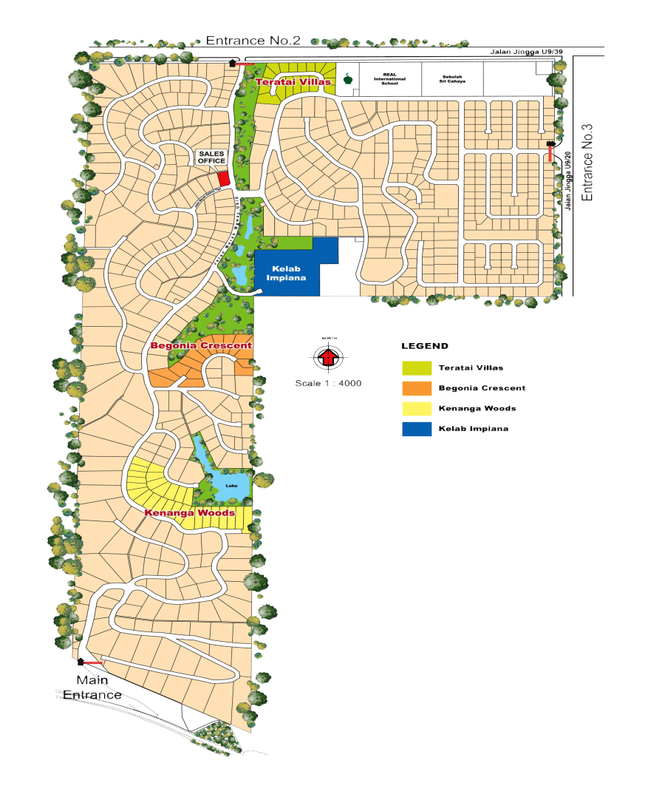 Kenanga Woods is a low density residential development set in a natural tropical forest. The bungalows are built in harmony with the contours of the land and guarded with security surveillance. Begonia Crescent encompasses 15 exquisite garden villas, which are the epitome of luxurious living. Each garden villa shares a community with nature’s finest.